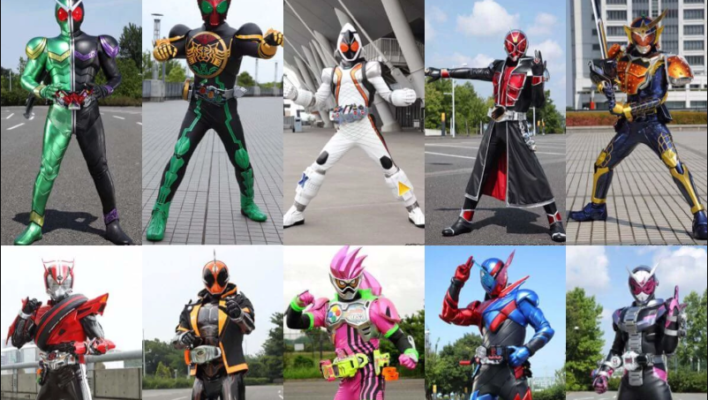 Please Vote on your Favorite Neo Heisei Era Kamen Rider Gimmick! Introducing the son of Taro, Ultraman Taiga! Drive Saga: Kamen Rider Brain Cast & Crew Revealed- SH Figuarts Release Teased! 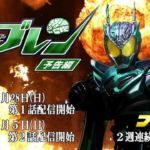 Toei has released a FULL TRAILER for the new special to be released on the Tokusatsu Fan Club streaming service- Drive Saga: Kamen Rider Brain! *Tomoya Warabino returns in the role of Heart. *Fumika Baba reprises the part of Medic. *Chris Peppler will once again portray the character of Krim Steinbelt. Drive alumni will be returning BEHIND the camera as well; the special will be written by series’ head writer Riku Sanjo while Kyohei Yamaguchi once again takes the directors’ chair. 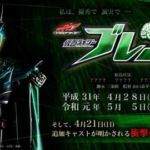 This two-part special is currently scheduled to begin on April 28 2019– which means Kamen Rider Brain will be the LAST Kamen Rider introduced in the Heisei Era. Last but CERTAINLY not least, it seems Kamen Rider Brain may be receiving an action figure in SH Figuarts! No official prototype has been shown yet but fan response to this special may improve Brain’s chance of release. Stay tuned to TokuNation for all Kamen Rider reveals! 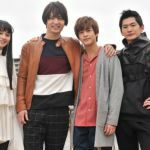 Kamen Rider Todoroki Returns In Kamen Rider Zi-O! Yet another veteran Kamen Rider has been confirmed for an appearance in Kamen Rider Zi-O! The next adventure for the King Of Time is to seek the power of the Oni Riders from the age of Kamen Rider Hibiki! To assist in this quest, actor Shingo Kawaguchi will reprise his role as the guitar-wielder Kamen Rider Todoroki! This will be Kawaguchi’s second time revisiting this role; he had previously portrayed the AR World version of Todoroki in Kamen Rider Decade. 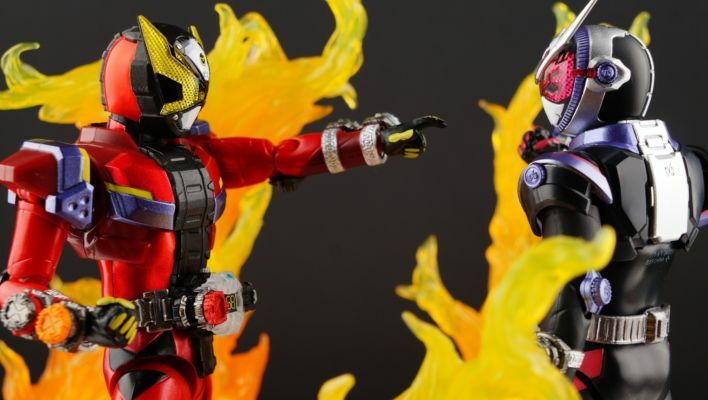 Zi-O’s encounter with the Oni is currently scheduled to begin on April 28 2019! Feel free to join in our Ongoing Kamen Rider Zi-O Discussion Thread to share your thoughts and fears on this remarkable series! Why are we asking? Let’s just say we’re asking for a friend :) You do NOT need to be a member on the forum in order to vote, and we really appreciate if you would share these polls around. Thank you for voting and for sharing it with other Kamen Rider fans! Today, Tsuburaya Productions has officially announced the next hero of the Ultraman franchise! Beginning July 6th on TV Tokyo is Ultraman Taiga! This series will also be a unique 3-for-1 special! Our host this year, Hiroyuki Kudo, has the ability to transform into 3 different Ultra’s! Hiroyuki uses the Taiga Spark wrist changer and Ultra Taiga Accessory to access the power of these 3 heroes. From Planet U40 is Ultraman Titas! This buff Ultra is a skilled heavyweight fighter and hails from the same planet as 1979’s Ultraman Jonias. Next up we have Ultraman Fuma! This speed based fighter has a strong sense of duty even if his personality is a bit rough. Fuma hails from Planet O-50, the same world where Orb, Rosso, & Blu became warriors of light! And leading the series is the titular Ultraman Taiga! A young Ultra with a strong sense of justice, Taiga comes from the M78 Nebula just like his father, Ultraman Taro! Together these 3 heroes form the Tri Squad and take on the villainous, Ultraman Tregear! 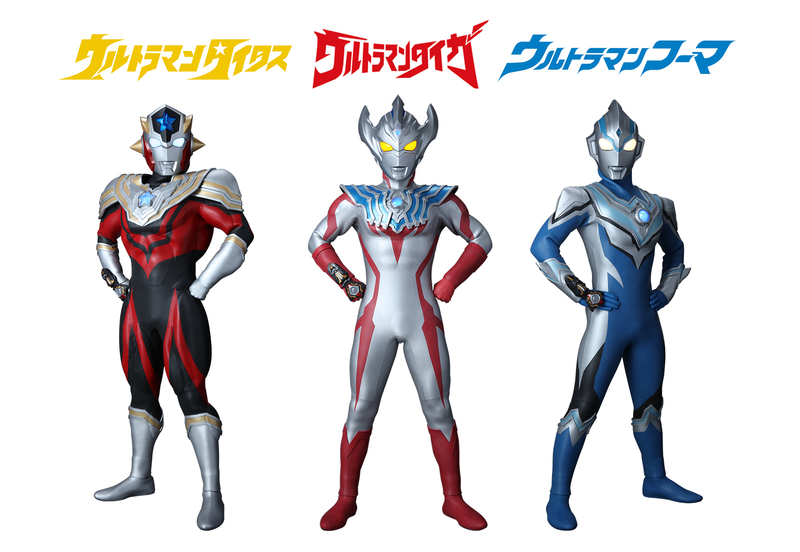 The latest of the New Generation Heroes series, Ultraman Taiga, is set to begin this July 6th at 9AM JST! 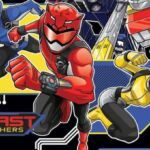 A new clip from the next episode of Power Rangers Beast Morphers has been posted online! 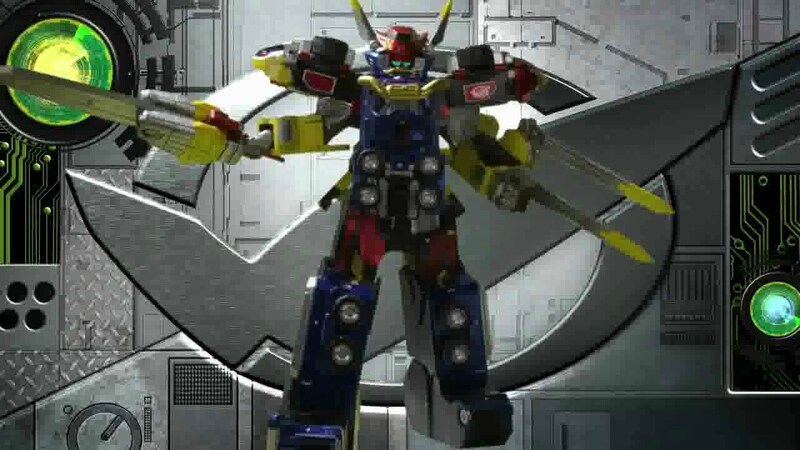 A Friend Indeed: Evox targets the Beast Bots to stop the Beast Morphers Rangers from forming their Megazord. This episode is currently scheduled to air Saturday, April 20 2019 at 8AM EST ONLY on Nickelodeon! With Hasbro’s acquisition of the Power Rangers brand, both the TV show and the toy line have been revitalized. From the lowest price point entries up to the largest scale figures, everything has changed. While the majority of the brand is heavily focused on the currently airing Beast Morphers, we are still getting some product from throughout the franchise. One way is with collector style figures in the Lightning Collection line, another is through the mini figure line of Micro Morphers! Consisting of rangers, villains, and even some megazords, this line offers a fun alternative for fans of all ages. 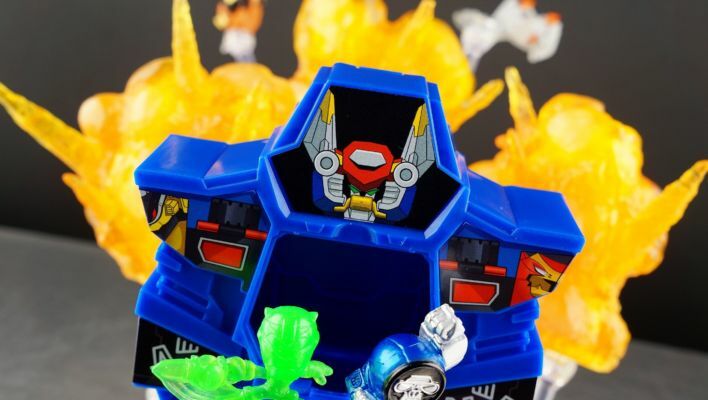 Today we’ve taken a look at the Micro Morphers line for a little mini-review with 1 Blind Bag of rangers and 1 Megazord Blind Box. Coming 2 with 2 rangers per pack, the blind bag we opened came with a lovely Morph-X Red Ranger and the one and only Rita Repulsa! While our Megazord pack included the Beast-X Megazord as well as Smash the Beast Bot and the villainous Slicertron! We’ve put together a 40 image mini-gallery of these figures that you can see attached to this post. Click “Discuss on the TokuNation Forums” at the bottom of this post to see our full review and breakdown of these blind packs as well. We’ll be back soon with 6″ Blaze & Tronic! Power Rangers Lightning Collection OUT At Us Retail! 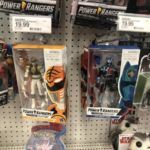 The first sighting of the much-hyped Power Rangers Lightning Collection from Hsabro has been reported by fellow fan Jason Smith who reported finding the first wave of figures at a Target in Wisconsin. In addition, multiple collectors have received shipping notices from Amazon.com for Lightning Collection preorders- with estimated delivery of Wednesday, April 17! If you are lucky enough to pick up these new figures, feel free to stop by the TokuNation form & share your thoughts on this remarkable new moment in Power Rangers toy history! 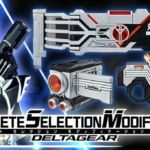 Complete Selection Modification Kamen Rider Delta Gear Release Details Confirmed! Premium Bandai has released full details for the next entry in the Complete Selection Modification series! A variety of new sound clips will be included from the cast of Kamen Rider 555. The CSM Delta Gear set is currently scheduled for release in September 2019! The price is a steep 27000 Yen before shipping and handling. First Look at Kamen Rider Brain! In case you missed it, Toei announced a Kamen Rider Drive spin-off movie: Kamen Rider Brain was in the works not that long ago. Since the project’s announcement, we have our first look at the suit itself via a teaser that went up online recently. While there is no Youtube link at the time of this writing, we do have a link to the teaser via Twitter from the @HKR20_offical Twitter account. You can view the teaser showcasing the suit here. Born in a future without hope, Geiz Myokoin fought as a resistance fighter against the overlord, Oma Zi-O. But with everything in his life decimated by the overlord, Geiz resolved to travel to the past and eliminate him before he could ever rise power. Using a Time Mazine & Ziku Driver, Geiz comes to the present day as Kamen Rider Geiz! But faced with a Zi-O who’s anything but the evil overlord he knows, can Geiz bring himself to change the future? Or will a begrudging friendship with present day Sougo Tokiwa send history down another path? The final secondary rider of the Heisei Era arrives! Following up from our review of S.H. Figuarts Kamen Rider Zi-O, Kamen Rider Geiz brings basically all the same qualities to the line. A minor retool and extensive repaint of the Zi-O mold, Geiz is a well rounded, well articulated figure that fits in fantastically with mainline figuarts as well Shinkocchou Seihou releases. While it lacks weapons like Zi-O, Geiz does include two 20 Rider Kicks Ridewatch Tamashii Stages! We’ve attached the full 70+ image gallery to this post, but you can also check out the full review of Kamen Rider Geiz by clicking “Discuss on the TokuNation Forums” at the bottom of this post. Next time, we head back to the Morhpin Grid with a review Beast Morphers 6″ Cybervillain Blaze!